It's hard to tell if a business isn't achieving its full potential. Sales performance isn't an accurate depiction of success. Outdated processes that have become routine could be hindering performance elsewhere. If your business is stagnant within innovation, you'll miss out on opportunities to grow and improve. Simplifying processes can reduce stress on your workforce, gain efficiencies, reduce overhead, and can free up time working on mundane tasks all to take your organization to the next level. Such was the case with CraneWorks. 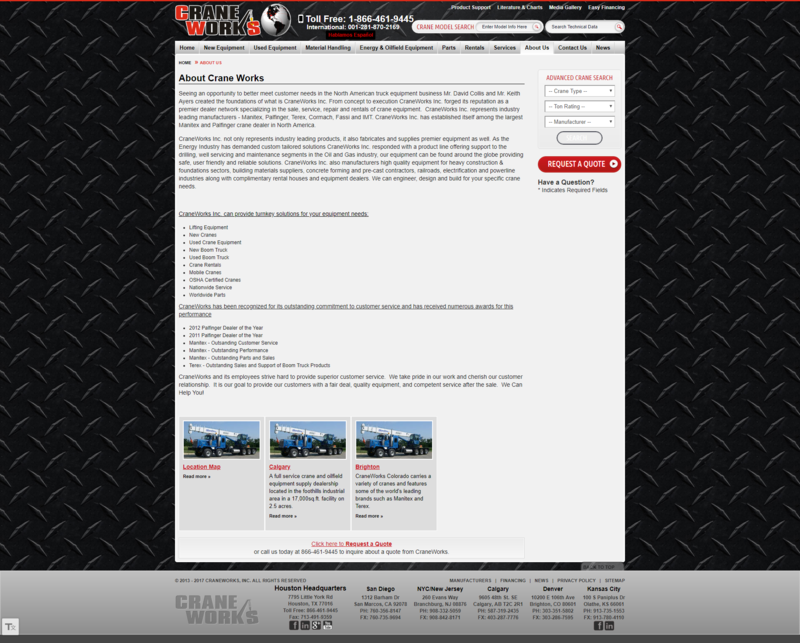 CraneWorks is North America's top provider of quality lifting solutions. They work with the industry's leading crane, truck, and equipment manufacturers to provide the best crane solutions. With nine dealerships across the US and Canada, CraneWorks sells more trucks and other cranes than anyone in North America. They're one of the industry’s fastest risers, CraneWorks offers a variety of services to customers from a wide variety of industries. Founded in 2002 their main headquarters is in Houston, TX CraneWorks’ great success is represented by their many industry awards for outstanding service and stellar performance. Although the crane industry is doing well, CraneWorks’ recent growth far outpaces the rest of the industry. For example, the industry publication American Cranes & Transport publishes a list of the 100 biggest crane companies each year. 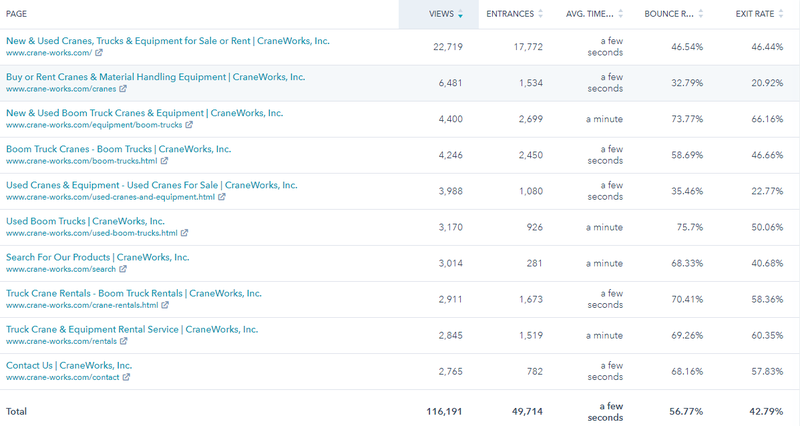 CraneWorks has appeared on the list since 2011, but generally near the bottom. However, over the past couple years they made some of the biggest jumps of any company on the list, peaking at number 51 with even more gains projected for 2018. While much of the company’s prior success had come the old-fashioned way without a very strong digital presence, as CraneWorks grew, they quickly realized that there was significant opportunity to upgrade. The company’s old website and marketing processes were fine for a small company but needed to grow as CraneWorks has grown. They needed a partner to help them avoid becoming victims of their own success as they grew – and they found that partner in Revenue River. 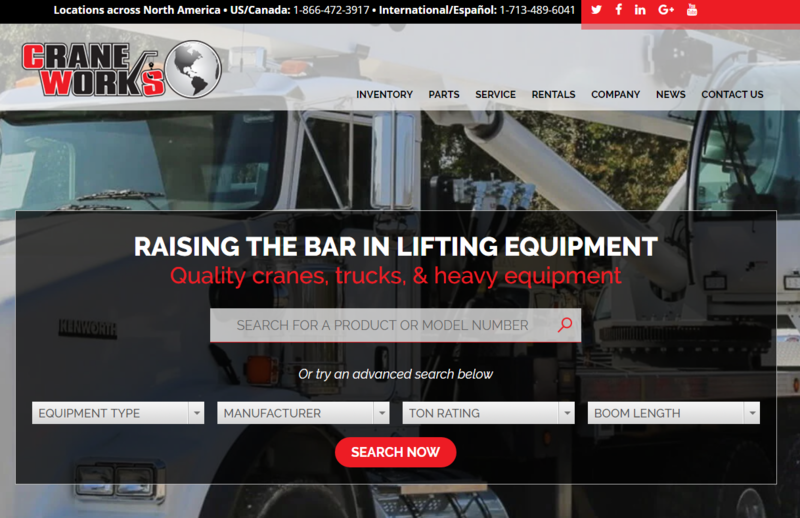 CraneWorks was already using HubSpot in a limited capacity and looked to find a strategic partner to bring their website and digital presence up to date. After contacting Revenue River, they quickly realized that there was a much bigger job to be done than simply overhauling their website. There was also a need to modernize their inventory management system internally, and better present their products to their customers through the website. Redesign their website to be modern, conversion focused and responsive. Their old website had one primary conversion point: the Contact page. They needed to make it easy for contacts to request a quote or request services. Build an inventory management system that connects all locations and feeds into the website. Each location might have different products that are available that can meet the needs of a wide range of prospects. Bring more visibility to their parts and service departments to showcase the previously-unseen areas of their business. There were some other long-term or "phase 2" developments we set aside so that we could focus on the main action items that would provide the most immediate value for the client. This allows us to remain targeted in our efforts and ensure a timely project completion date. We started with the website. We wanted to make the overall user experience more positive while also allowing people to search for the pages they are looking for. We aimed to make it as easy as possible for users to find the products they're looking for. This helped us connect customers with the products and website pages they're most interested in. We created an advanced search function that allows users a variety of ways to search was built as the main focus on the homepage. Fed from the pHp/SQL database backend (more on this later) we can custom tailor inventory results on a user by user basis. See the screenshots below to first see their old website and their new website. Note how the newer design makes it much easier to find what the user is looking for. Their old website was lacking an ideal user-experience. Prospects and potential leads for CraneWorks had to click around to find the information they were looking for. It was not easy to understand how to find relevant information. This new version of their website made the user experience much easier, it was riddled with conversion points, and additional informational content. Knowing this, we made each product description page more conversion-friendly. We included a quote form for each specific product page, and each quote form uses hidden fields to capture product info so that the user only needs to provide basic info. However, when the form is submitted, it provides much more info to sales. The screenshot below shows the overall dialog box and form that a CraneWorks prospect would fill out. This new form system and page design was very effective in not only presenting users with products faster and more efficiently, but it also provides an easy conversion funnel that allows the user to convert when they feel comfortable. This "soft sales" approach has resulted in a significant performance increase for their business. After launching the site on Aug 1, we noticed a slight dip while all the dust settled. However, once all the kinks got ironed out we saw a hockey stick grown curve of new inbound leads representing a 150% year-over-over increase. 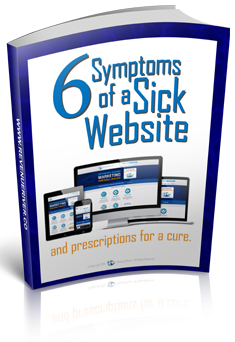 Users were effectively using the site and finding the information they were looking for quickly and easily. This directly translates into higher conversion percentages and growth in overall inbound leads. The redesign also resulted in higher engagement as reflected by lower bounce rates. Users are finding the site easy to navigate and see value in the content they are being connected with, all of which is great for SEO. As efficient as the front end of the site is and starting to scratch the service of really leveraging the COS for targeted marketing efforts is, perhaps the most exciting part of this project has to do with what you can't see. The website is powered by a pHp/SQL database that houses all of the product inventory for central management and reporting. This had been a struggle for Crane Works in the past, but it isn't anymore! Their new database provided a real-time inventory overview for any location. There makes it easy to manage a Boom Crane in Houston, an Articulating Crane in San Diego, a Crawler Crane in Nashville, and more. 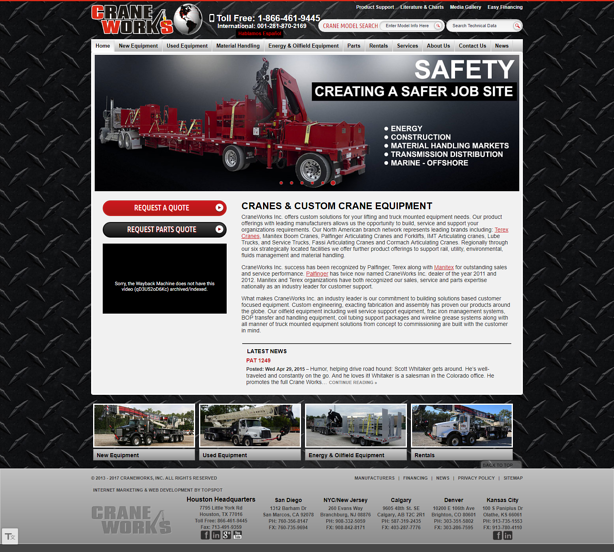 CraneWorks also used an online listing service called Crane Network. With a custom API integration, we found an easy solution that populated the database for the client, reducing the need for manual entry. Because Crane Network has up to date, real-time information, we could instantly populate our database and maintain and bi-directional sync to ensure consistent product information on the website. We took it a step further and implemented an automated system that created custom PDF Spec Sheets for each product. The database collects all the product data and specifications and presents it on a custom designed PDF document. This is then linked to via the product page on the website for the user. This solved a big gap with the valuable product info that was relevant for consumers. Automating the process not only relieved a big stress for the client but presented a better user experience while reducing man hours for the client. We're incredibly proud of the success that we've seen with CraneWorks' campaigns. Since working with Revenue River, they've seen nearly a 50% increase in site traffic just over 7 months. In August of 2017, they saw nearly 4,500 site visits. This month, they've gotten nearly 7,000 visits which is a 66% month-over-month increase. They've also seen a 65% increase in overall contacts generated. In August of 2017 they were averaging around 75 contacts per month. This month, they saw over 110 contacts. All this in less then 12 months! With the initial implementation of the launchpad system in place, we've had time to identify opportunities for continuous improvement to further better the site. A separate division of the company is related to their parts sales and service, and this system has a separate database and management process that was equally prime for modernization. Our goal is to incorporate the parts inventory and automate that process through the website as well. This will gain tremendous efficiency while providing valuable customer data into the contact timeline. Featured parts campaigns will then be created with workflows re-targeting top performing customers. Additional ongoing improvements including a robust knowledge base, additional product search and filtering and custom landing page build out for paid advertising campaigns are all on the horizon. With a firm foundation in place, the focus is throwing gas on the fire. 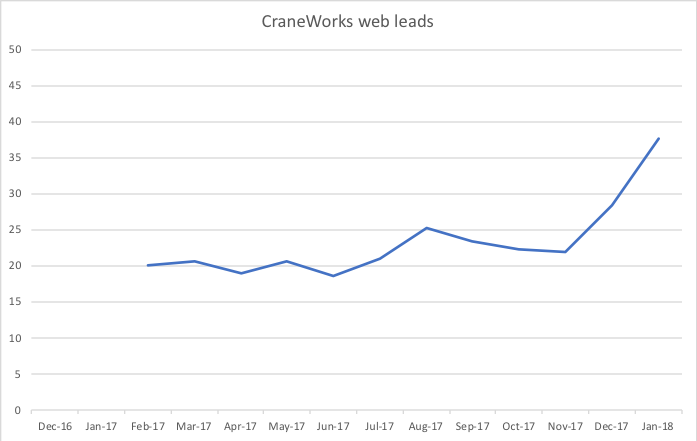 Through full-blown SEO pillar strategy implementation, paid advertising and full closed-loop reporting with their sales system are what is going to excel Crane Works to the next level. With additional marketing and sales enablement focuses, CraneWorks serves as a classic example of what can happen when sound strategy, creative implementation and an excellent user experience can do for a business wanting to capitalize on their digital efforts. Ready to take your digital marketing efforts to the next level? Fill out the form below and let's talk strategy!